Midea HS258 keeps your food items fresh. With a temperature controller and 200L cooling capacity, this freezer is an efficient cooling solution to your bulk refrigeration problems. 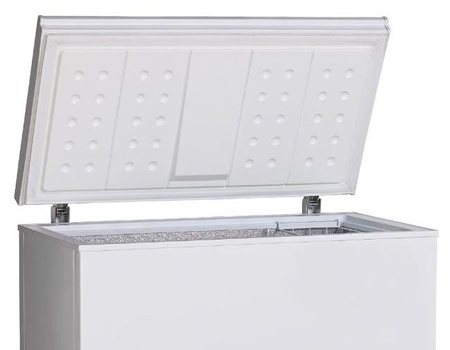 To facilitate convenience usage, this stands up freezer is incorporated with a multi-setting temperature control dial. Also, it has a removable wire basket and an easy-to-clean interior. Furthermore, this chest refrigerator has a built-in stabilizer and is safe for household use. 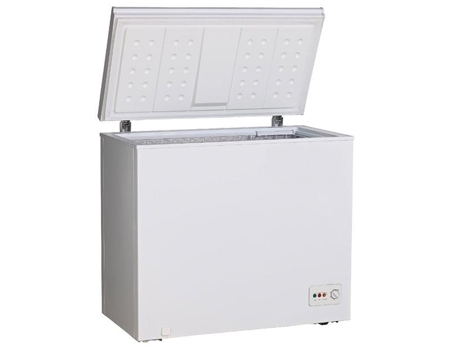 KEEP IT CHILLThe Midea chest freezer has an enormous storage capacity of 200L. It features an adjustable thermostat for a more personalized cooling of food items and beverages. ON YOUR FINGERTIPSThe multi-setting temperature control dial offers easy control of the inner temperature. Furthermore, it has a manual system for defrosting too. A recessed handle ensures easy accessibility, while adjustable legs further enhance its ease of storage. 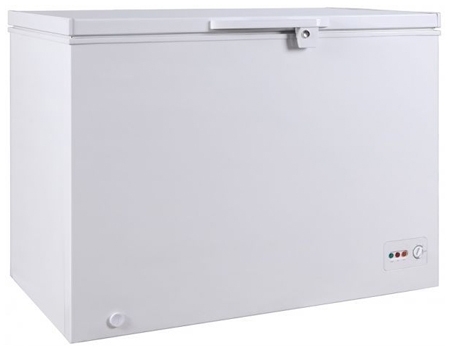 SAFE CHILLINGEquipped with a stabilizer, this chest freezer protects the appliance from overheating or overloading. Also, child lock system gives you extra peace of mind when you are away from home. The LED light indicator keeps you informed of its functioning.